This past week, I attended the 63rd annual PEACH (Physical Education, Athletic Coaching & Health) conference in San Luis Obispo. One of the best presentations given during the conference was by Corona HS assistant principal and athletic director Jim Perry. While his talk was more than the following quotes, I thought you might enjoy some of them as they are definitely thought provoking and apply to you whether you are a teacher, coach and/or parent. What will I do and be when I get there? Every generation since the beginning of time has driven their parents completely out of their collective minds. Teaching makes all other jobs possible. The schools lead, teach, motivate, and inspire each generation to greatness. We can't direct the wind but we can adjust the sails. David's army believed that Goliath was too big to hit. David believed that Goliath was too big to miss. Teachable moments vs. non teachable moments. We are experts at catching kids doing things wrong...how good are we at catching kids doing things right? Rules you aren't willing to enforce. A newspaper retorter asked..."Coach, how good is your team going to be this year?" The only thing that we truly own in our life is our story. Inscribe each page as a gift to others. Autograph your story with excellence, passion, imagination, grace, wisdom, forgiveness, compassion, and love. Please feel free to add some of your own favorite quotes in the comment section below. With 24 of the top 40 runners graduating the team competition is wide open in 2009. This year the top 4 spots qualify for the State Championships and with some support from a few underclassmen any team could vault themselves into a State qualifying spot. The fact that only 16 of the top 40 runners return this year should allow ample opportunity for the underclassman to shine. In fact, the team competition is likely to come down to which team has the fastest number 5 runner! The question is: Who will step up in 2009? Aptos won handily in 2008 and is once again the favorite. Saint Ignatius was hit hard by graduation and will need the younger talent to step up big. They will be challenged by Pioneer, who will need the Strum brothers to translate their success on the track to cross country. Even if they both place in the top 5 at CCS they will need help from the 3-5 runners. Willow Glen looks good and could be #2 with help from a solid Frosh-Soph crew, but they will need to hold it together as a new coach takes the reins. North Monterey County could pull it off as they return three strong runners but will need help from the 4 and 5 runners. With a good freshman any one of these teams could make a run for the title! Division 3 looks to be very competitive for 2009. Last year Saint Ignatius won thanks to a strong team performance where their scoring runners were all in the top 20, led by an impressive 2-3 finish by Daly and Hinds. With an impressive number of JV and Frosh-Soph runners looking to move up to the varsity ranks they will be tough again. But the pre-season favorite has to be Aptos. Led by Marissa Ferrante, Aptos has three of the top 6 returning runners this year in D3. Their top 6 all return and could very well have 5 runners all in the 18’s at Crystal Springs this year. This team is going to be very hard to beat in 2009. Valley Christian could be in the mix again as they return of 6 of their top 7 runners from 2008. North Monterey County, Note Dame – San Jose and Sacred Heart are also right there and if they have a good day could easily surprise some people. Feel free to chime in on the above rankings in the comment section below. Division II, the strongest grouping of all the five CCS divisions last year, looks to be even better in 2009. Mountain View leads a group of teams battling for the three spots advancing to the state meet. The Spartans placed third at the CIF meet last year and return their top three harriers from the podium finish. Garrett Rowe proved himself to be a strong big meet performer in both cross country and track, coming in second over the 5k course at Woodward Park in 15:03 and fourth in the 3200 meters in 8:55. Though dominant most of the last cross country season, Rowe was often challenged by teammate Ian Myjer. Myjer defeated Rowe at the Clovis Invite in 15:17 and was just a second behind his teammate at Crystal Springs in 14:57. Mountain View's 3-4-5 will likely consist of outstanding junior Parker Schuh (15:31 at Crystal Springs, 15:38 at Woodward Park), junior Brian Crook, and senior Alex McGuirk. Coming off a strong track season in which he improved his PR's to 4:15 for 1600 meters and 9:07 for 3200 meters, Phillip Macquitty leads a somewhat depleted Palo Alto team in its attempt to again qualify for state as a team. Having graduated numbers two and three, the Vikings only return three under the 17 minute mark at Crystal Springs. Challenging Paly for the third spot will be Los Gatos. The traditionally strong program had a bit of a down year in 2008, but looks to rebound behind star junior Will Geiken. Like Summers, Geiken exploded onto the scene with a 9:20 3200 effort during track season. The Wildcats return four of their five scorers. Much like on the boys side, Mountain View dominated the CCS cross country scene in 2008 and looks to continue its success in 2009. The Spartans return three of five scorers from their fourth place state team, lead by top returning individual Zoe Pappas, who boasts PRs of 19:00 at Woodward Park and 18:57 at Crystal Springs. Sophomore Allison Sturges should also be a fine addition to the team after a spectacular track season that included a 4:59 1600 for second place at CCS finals. Juniors Sarah Wells and Susie Reynolds should be important factors to the strength of Mountain View's team. A number of remaining teams will battle for the two team bids to the state meet. Los Gatos has a strong #1 runner in junior Katie Castro, but will need improvement by other runners to contend. Lynbrook has a similar predicament with a solid 1-2 punch of Cindy Huang (2:13 800m, 18:36 at Crystal Springs) and Lauren Tang, but need improvement from a number of low 20 minute Crystal runners to sure up the back end of the rotation. Presentation returns three sub-20 minute Crystal Springs runners, highlighted by junior Tori Tsolis, a 5:13 and 2:14 track runner. If the Panthers can find a strong fifth runner, they can be a force in Division II. St. Francis has two athletes in the 19s at Crystal Springs as well as two on the cusp of breaking the 20 minute barrier. Thanks to Kevin for taking care of the CCS Division II rankings this year. Please feel free to chime in your thoughts about the above rankings in the comment section below. CCS Division III Pre-Season rankings will be posted tomorrow. CCS Division II and III pre-season rankings thanks to Kevin Liao and Josh Small. Will get them posted this Sunday. Until then, feel free to post your thoughts on both divisions (boys and/or girls). Who are the top teams in either division? Individuals? Dark horse teams or individuals? Disregarding the numbers in Division V (many of those teams don't even field cross country teams), the breakdown of the five divisions seems fairly even. However, upon closer inspection, the truth is that some of the divisions are fairly competitive (see Division I and III) and other divisions like Division II seem a bit watered following the changes made from last season. Looking at the boys' results from the '08 season, the defending champions (De La Salle), 2nd place finishers (Washington), 5th place finishers (Livermore) and 13th place finishers (Irvington) are all in Division I now. Moving down to Division II, by the slightest of margins, will be the defending Division I champions, the College Park Falcons. What is "slightest of margins" you may ask? One more student at College Park would have put them in Division I. Whether those numbers would be the same if the state used the same numbers for every section is another subject for another day but for now, here are my predictions for this coming season in Division II. With such a depleted division, the favorite, by default, will be College Park. Their record speaks for itself with 5 NCS titles in the past 8 years. 4 of those titles have come in Division I ('08, '06, '02 and '01) while their 5th came in Division II ('03). Last year's title was a surprise as they upset pre-meet favorite Amador Valley 58 to 62. Their lead runner, sophomore Jeff Bickert, led the purple haired parade of Falcons with his 2nd place finish behind NCS champion Mike Roderick of Monte Vista. Besides Bickert, CP returns their 4th and 5th men from last season, Kevin Strongman and Will Holland. With the usual depth CP sports each season, there is no question that the rest of team will be filled capably by younger runners. The best teams returning in this division will be led off by Alameda. They return their top three runners, #1 (Charles Perkins), #2 (Liam Davis) and #3 (Zachary Perkins). 3 solid runners who will be in the low 16s with Perkins already dipping under the 16:00 minute mark last year (15:59). Next in line are rival schools, Santa Rosa and Montgomery. Santa Rosa seems to have the edge at this point with their talented #1 man, Reesey Byers. He finished in 7th place last year in the NCS Division II race running 15:44 on the Hayward course. The individual favorite based on what he did during track season has to be Byers of Santa Rosa. Reesey had a nice cross country season with his high finish in the section meet and a 16:18 clocking at the state meet. Nice accomplishments but what separated Byers from the rest of the pack were his times at the NCS meet of champions and the state meet on the track. He finished 4th at the NCS MOC running 9:14.15 and then followed that up with a 9:06.93 effort a week later in the deepest 3200m. race in state history. Two guys that will figure quite prominently in the individual battle will be senior Danny Thomas of Arroyo who is actually the fastest returning in this division with a 15:34 on the Hayward course (4th place finisher) and a 15:42 at the Woodward Park course. The 2nd runner will be College Park's Jeff Bickert who was quite impressive last year as a sophomore finishing in 2nd in the Division I race (15:27). The favorites for the girls' team title will be the Casa Grande. They have finished in 3rd place the last two years, qualifying for the state meet both seasons. CS continued to run well on the track this past season where won the Distance Medley Relay (12:16.71) and finished 2nd in the 4x800m. (9:35.25) at the Stanford Invitational proving they are more than just Jacque Taylor. After Casa Grande, comes the teams with the history of success but with question marks as we head into the '09 season. Just like their boys, the College Park girls have collected their fair share of NCS titles with 6 victories since 1999 (Division I in '99, '05 and '06 and Division II in '02, '03 and '04). They have veteran runner, Alycia Cridebring leading the way but will need their 5, 6 and 7th runners (Kazune Shidara, Kelsey Gallagher and Marina Ota) to step up to compete for a top 3 team finish. Carondelet has had a nice run of top 3 finishes in the section meet that included 2 NCS titles in '06 and '07 (state champs in '06). They have proven to be a deep team that has withstood several setbacks but we'll have to see about this season. Heather Cerney is certainly one of the toughest and fastest runners in the section so she is definitely a good starting point. A return of a healthy Nicole Hood would greatly aid Carondelet's chances of competing in this division. The individual favorite will be Jacque Taylor who seems to have been running for more than four years but yes, this will be her senior season. She has finished no worse than 2nd place as an individual with a victory her 9th grade year, 2nd place as a sophomore and another victory last year. Last year's 2nd place finisher, Heather Cerney, was one of the most improved runners in NCS and will be back to keep Taylor honest. Cridebring is another strong runner with 2 sub 18:00 minute clockings on the Hayward course. 1) College Park-Another NCS title for the Falcons? 2) Alameda-Need to find added depth to returning top 3. 3) Santa Rosa-Reesey Byers leads way here. 4) Arroyo-Have the runners to challenge state qualifying teams. 5) Montgomery-5 return for consistently strong program. 1) Casa Grande-Is this the year for their first NCS XC title? 2) College Park-Cridebring gives them chance to compete with anybody. 3) Carondelet-Consistent top program in this division. 4) Montgomery-Nacouzi gives them a strong #1. 5) Santa Rosa-Will battle Santa Rosa once again in this division. Feel free to comment on the above rankings. This division looks like it has some very good individuals who need some help from their teammates to advance to the state meet as part of a team. Did I miss anybody? Any surprises? Freshmen studs and studettes? Amazing what you can find on the internet now. The following article courtesy of Track and Field News is about a reunion of past high school studs (and studette) that took place in mid July. Now most of the runners ran down south but there is one blast from the past that run up north and that is Rich Kimball (on the left in picture). He ran at Jesuit HS as a freshman and finished out his high school career at De La Salle HS. For those youngsters out there that have never heard of Rich Kimball, how does 1:51.1 (880yd), 4:02.4 (mile) and 8:46.6 (2 mile) in 1974 sound to you? Definitely one of the all-time greats! You can read all about his accomplishments and all the other runners that attended at the following links. Amazing stuff. So if we were to hold a similar reunion for Northern California distance runners, who would be invited along with Mr. Kimball? Boys and girls please. No limit to the numbers that can be invited. For your enjoyment. Funny commercial. NCS Division II rankings are almost complete. I will get them posted in the next couple of days. Ben Eversole (Castro Valley)-Finished fourth at NCS last year as a sophomore and followed that up with a track season where he ran 4:20.45 and 9:32.18. Moreover, he has a strong finishing kick and he doesn’t give up. This means it will be hard for anyone to separate from him during the race and even harder to pull away at the end. Eversole did not have a great state meet last year and just missed out on the state meet in track. He has also been described to me by an unnamed former Castro Valley coach, who now coaches at Northgate, as a bit cocky. When you take a cocky athlete with the physical tools that Eversole has, and two disappointing postseason meets and mix it all together, you’re likely going to end up with a motivated athlete who could very well make the jump from good to great. Alex Summers (Granada)-He has been unpredictable at times during his career, but one meet you can always pencil him in for a strong performance is at NCS (Cross Country or Track). Here is a listing of Alex’s NCS placings since his sophomore year. 2007 Cross Country: 15:43 for 8th. 2008 MOC’s 3200: 9:30.65. 2008 Cross Country: 15:41 for 3rd. 2009 MOC’s: 9:28.28. Each of those races was a pr for Alex at the time and given the health problems that Alex had late last track season, his 9:28 at MOC becomes all the more impressive. 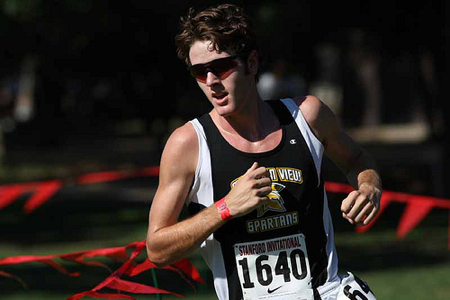 Ben Rich (Washington)-The MVAL champion ran 15:48 at NCS and neither one of those feats is his top highlight. Rich put an exclamation on his cross season last year by running 15:55 at Woodward Park. Rich continued his success into track season by winning both the 1600 and 3200 and finishing 2nd in the 800 at the MVAL finals. He also ran a pr of 9:33.96 in the 3200 and was on a very good DMR team for Washington that ran 10:35.72 at Arcadia. Paul Johnson (DeLaSalle)-Was a top 5 scorer last year for De La Salle and had a very strong finish to the track season, dropping his pr from about 9:50, into the mid 9:40’s to 9:35.30 during the postseason. If he can gain strength over the summer and peak as effectively in the fall as he did in the spring, the Spartan leader will have a shot at the individual title. De La Salle on the whole generally runs pretty well at NCS, so it is fair to expect Johnson to be at his best on November 21st. Parker Deuel (San Ramon Valley)-There are safer choices here (like Smiley of Monte Vista and Ashby of Castro Valley), but I would not be surprised if Deuel actually finished higher than fifth in this race. He had a very special freshman year that went largely unnoticed because he was often hiding in the frosh/soph division. He boasted times of 2:02.38, 4:34.18, and 10:06.67. He won all three of those events at the EBAL frosh/soph race and also ran away with the EBAL frosh/soph race in cross country. He would have easily been a top 7 runner for the Wolves on last year’s team had they decided to race him varsity and his times suggest we would have seen him at NCS Tri-Valley if he had raced varsity at the EBAL track meet. Watch out for Parker Deuel. Colleen Lillig (Cal High)-Colleen is the defending champ in this division and her track season did nothing to diminish her stock. This year she cracked 5:00 in the 1600 at Sac MOC and dropped a huge 10:32.30 in the 3200. She was 17th at State last year in Division I and if it wasn’t for an early fall, very well might have been top 10. This girl has improved throughout her high school career and now has a talented team to back her up. As long as Colleen stays off her snowboard this summer, I’m not sure if anything can get in her way. Kelsey Santisteban (Castro Valley)-If anyone can get in Lillig’s way, it will be Kelsey Santisteban. She has been the leader of Castro Valley’s monster girl’s team since she arrived. She looked tired at the end of track season last year, but was sharp at the beginning, only running slightly behind Diana George at the Dublin Distance Fiesta 3200. If Santisteban can race like that at the end of this cross country season, then she can run with anyone in the state. Natalie Dimits (Livermore)-Had a solid freshman cross country season last year. Well, actually she had a very good cross country season last year. She outdid herself at the end of her track season though. She ran 11:17.70 and has 5:09.25 mile speed to go with it. Assuming she is training for cross country this summer, and her pole vaulting result from the Dublin all-comer meets do not signal a full-time change in events (pretty sure she’ll still be running xc this year) she is ready for a big jump this cross country season. Nicole Aha (Monte Vista)-This senior leader of the Monte Vista Mustangs also recorded some impressive times on the track this year. With similar credentials to Dimits, she ran the 1600 in 5:15.92 and the 3200 in 11:12.04. These numbers suggest that even before the season begins, she is ready to run much faster than the 18:57 she posted at Hayward last year. Aha is a team player and her struggles at the end of the season may have been due to many doubles and triples in the tough EBAL including meets where she ran the 300 hurdles (pretty well I might add) and then the 3200 just two events later. During cross country, she will be able to concentrate on one race, which should help her save some energy down the stretch of the season. 5t) Elaine McVay (California)-I couldn’t decide between McVay and Martines for the #5 position, so I took the easy way out and made it a tie. I deserve criticism for that, so do your worst. McVay boasts the far superior track times and comparable, yet slightly slower cross country prs. My concern with Elaine is that her racing style can sometimes backfire on her. She tends to go out very hard and when that works, she runs really well. I have also seen her get into the hurt box early in races and if that happens on the wrong day it could be a disappointing day. She will be racing strong enough competition on November 21st where that is a possibility. If McVay can sure up her tactics, she may finish higher than #5, if not, it could go south (although she’s too good to go that far south). 5t) Marissa Martines (Castro Valley)-Martines was largely absent (at least from what I could find) during track season, but was the #2 runner on the Trojan cross country team. She has run 18:44 on the Hayward course. That is the fourth best returning time in the division (behind Lillig, Santisteban, and Jennifer Goldstein of Foothill, who underwent surgery following cross country season and has not raced since). Last year she beat Aha and McVay and had a faster time than Dimits, who is moving up from Division 2. Feel free to comment on the above rankings in the comment section below. Anybody missing? Star freshmen we should know about? NCS Division II team and individual rankings will be up next. Stay tuned. Thanks again to Jason for his time on the above rankings. What school calls the above "interesting" track, home? Check following site for information about the clinic. The following is information about the clinic. Attached is a registration form and possible agenda. Some of you will be getting this more than once as you are on other email lists also. If unable to come to the clinic, might consider a donation and or items for the silent auction/raffle. So far for the silent auction, Runners' Workshop has donated a week at camp (minimum bid of $100). XC Stats has donated this year and next year of XC Stats. Relay Apparel has donated $225 of tee shirts. Mt Sac has donated fleece jackets plus over 100 other items. Vern Gambetta has donated autographed books. Venue Sports has donated a Seiko printing watch along with coaches' gifts. Running Warehouse has donated numerous items. Saugus High School cross country has donated 10 shirts. San Ramon Valley Cross Country has donated tee shirts and socks. Bob McGuire has donated a pair of size 12 Nike Air Pegasus and numerous items from the Arcadia Invitational and the Mt Sac Invitational. Other items include tee shirts, hats and various running memorabilia. Information for coaches: Also attached will be a registration form and possible agenda. Check out the list of outstanding distance coaches at the end of this email. Additional sessions may be added to the agenda, so please check back to the Carpinteria Web site. We are putting on a fund raising (and fun raising) clinic to help benefit John Larralde, the long time coach at Carpinteria High School. John was in a coma for a week and hospitalized for 4 weeks due to complications from the MRSA staph infection. As a result, he has some rather significant hospital bills. John has done so much for so many and we are trying to help him with those bills. Some of you may know him as a former assistant at Cal, or the head coach at Santa Barbara City College. Still others may know him in his present position, as an assistant at Westmont College. For many years, he was one of the guiding lights for the fantastic Carpinteria High program, coaching such outstanding athletes as Coley Candaele. Brian FitzGerald of Rio Mesa, Kevin Smith of Oak Park, Tim O'Rourke of Mt Sac and LA 84 fame, Ken Reeves, and Van Latham of Carpinteria have banded together to form the "fly by the seat of the pants productions" to create the return of the Know IT All Clinic. Originally active in the late 1980s and early 1990s, it was a very informal clinic where high school staffs met in event areas. This was not your powerpoint/lecture clinic, it was high school coaches helping each other coaching high school athletes from the fastest to the speed challenged. The curriculum is coach driven and each session will be unique The clinic always concluded with a very enjoyable coaches' social. This year, the clinic is scheduled for August 1 in the lovely seaside town of Carpinteria. Bring the family, bring the staff and enjoy a weekend of interaction, sand, surf and enjoyment. The cost per staff is $100. Individuals can attend for $35. All proceeds will go directly to John's hospital bills and no speaker fees will be paid. However, in these tight times, if you would like to attend and don't have the money, come down for the interaction and forget the clinic fee. On the other hand, if you are unable to attend and would like to make a donation to help with John's bill, please don't hesitate to send me a check (make them out to Carpinteria Boosters, John Larralde fund). Vern Gambetti, the founding father of functional training and former Cal Bears head coach will be there to work with Brian FitzGerald and Kevin Smith on the sprint staff. Fred Morgan, the highly successful throws coach from Ventura High (coached CIF D1 Champion in the boys' and girls' shot and Masters' Champions in the boys' shot and girls' discus), Terry Hearst and Erik Pedersen of Royal Results (timers for Division 4 CIF prelims, CIF Finals, CIF SS Masters Meet, USC-UCLA Dual Meet, Arcadia Invitational, Ventura County championships along with several other meets) will do a session on Hy-Tek including meet manager and team manager. Other specific staff members will be listed as information comes available. See attached flyer for more information. Please contact Ken Reeves at kenreeves@sbcglobal.net if you would like more information or if you would like to make a donation. McFarland), Mike Smith (Camarillo), Irv Ray (UCR), Preston Grey (APU), Russell Smelley (Westmont College), Len Miller (former UCI, ASU and Steve Scott coach, introduced Eric Hulst to Distance running as a frosh at Laguna Beach High School[9:04 and 4:11 as a frosh for 2 mile and mile on dirt]-will have to leave early due to dinner date with John Wooden), Luis Quintana Jr (head CC coach at Arizona State University), Armando Siqueiros (Mission College Prep and Jordan Hasay's coach), Jim McCarthy (University City of San Diego: Coached Mac Fleet this past year), Jacqueline Hansen (former world record holder in the marathon) have already committed to being involved. This is an outline of the top SJS Boys teams. Teams are ranked within their 2008 divisions. Some teams may move up or down divisions. Only Divisions 1-3 have been ranked. capable harriers, the Blue Devils are nearly guaranteed another title. The questions remaining are how fast will they actually run and, for curiosity's sake, will Jesuit or Oak Ridge actually move in to Division 1 to add a little spice? Grace Davis through Galt all seem to have squads capable of putting together something special in 2009.
why the sport is so exciting. Anything can happen. Oak Ridge has the tools and the know-how to dominate this division. division, this could be the most exciting SJS race in November. to legitimately challenge for the very coveted 2 State berths. Watch: Division 3's top teams are essentially settled with those top 5. A completely new graphical design. It’s better looking and easier to navigate. A private discussion forum, only accessible by coaches, runners and parents. It helps engage runners and parents and, because it’s private, no moderator is required! Subscribers now have access to our massive California cross country database. It includes 6 new reports for team and individual results. Even more reports, now 24 reports and 10 graphs! That’s the MORE part. Now for the LESS. For new subscribers, PAYMENT IS OPTIONAL for 2009! That’s right. You don’t have to pay! The feedback from our existing runners, families and coaches is so positive, that we wanted to give every high school in California the opportunity to experience the benefits without obligation. Write me at mike@xcstats.com to find out how to get started. To quote a coach from an existing subscriber at a recent clinic, “You’re crazy if you don’t do this.” You may not actually be crazy, but the point is that this is too good to pass up. The offer expires August 22nd, so act quickly! Italy was possibly the most amazing experience of my life. Having never been to Europe before, I was very excited to just be there, let alone race international runners. When I first heard my name called stating that I had been chosen to represent the USA I almost collapsed in excitement. After such a dismal showing at the trials I was questioning whether I was truly qualified to go to Italy. Fortunately, the coaches that made the decision looked at my previous accomplishments and decided to bring me along, thus opening up an entire new set of opportunities for me. Once we arrived in Munich, we drove for another 2 hours to get to the Sudtriol region of Italy in the Alps where the race was held. During many of the days, Zach and I had to improvise our training schedule due to complications in travel. These improvisations did not affect us and we still got in some solid workouts prior to the race. Then the racing began. Going into semi's, I was not to confident that I would make it to the finals. However, as the race unfolded I found myself in third place, which meant I automatically qualified for finals. After the semi final races both Zach and I were pumped since we both made the finals. We talked about strategy and looked forward to pushing each other to the limit. At the final race Zach ran amazing and his outstanding run contributed to me running a personal best. We were both extremely happy in finishing in the top ten in the world and glad that we finished our seasons off with a bang. I am so proud to have represented my country. This trip formed a brotherhood among all the athletes that I am proud to be apart of. I am also thankful for everyone's support and encouragement. I ran this race not only representing my country but representing everyone that had supported me throughout the years. Sac-Joaquin Rankings for boys (Division I-III). Erik Olson talks about his World Youth Championship experience in Italy. Before I start with the NCS Division III pre-season rankings, I would like to thank all the coaches and athletes out there who are so forthright with pertinent information for this coming season. The 2008 season was a banner year for this division as the top two boys teams (Campolindo and Petaluma) waged an exciting battle throughout the season that ended with both teams on the podium stand at the state meet. Campolindo finished in 2nd place behind the Barstow juggernaut scoring 101 points trailed closely by Petaluma in 3rd place with 109 points. The week before, Campo narrowly edged Petaluma by 5 points (37 to 42) to win the '08 NCS Division III title in the fastest team time (1:17:55) in NCS history. There is no question that both teams drove each other to new heights as Petaluma ran the 2nd fastest team time ever on the Hayward course with a 1:18:02. This year's prognostications will be a bit more difficult as most of the top teams lose a lot of their main players due to graduation and other reasons. With that in mind, the team that appears to be returning the most firepower has to be Las Lomas. While they do lose their #1 from last year (Michael Jamieson), LL returns their #2 (Carl Gracely), #3 (Michael Gemar), #4 (KC Green) and #6 (Neal Williams). LL has also improved or maintained their place in NCS the past 4 years with the following finishes: 2005 in Division II-6th place, 2006 in Division III, 4th place, 2007 in Division III-3rd place and 2008 in Division III-3rd place. Where will they finish in 2009? 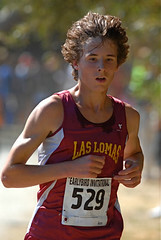 Behind Las Lomas, the next team appears to be Petaluma which returns one of the fastest runners in the section. That would be Hugh Dowdy who finished 5th at the NCS meet and alternated as the 2nd/3rd man on the team throughout the year. They also will have an improved Forrest Shaffer who was their 5th runner last year in their epic duel with Campo at the NCS MOC. Another runner to watch for Petaluma this coming season is freshman Kevin Poteracke who's already made a name for himself as a member of the Santa Rosa Express Club. graduated two key runners but returns #1 runner Toshi Kellogg, Brett Cantrell and two 9th graders who gained valuable experience last year, Tyler Sorensen and Tyler Troxel. Trivia question time. W other track event does Tyler Sorensen compete in nationally? Campolindo, the two-time defending champions, return one experienced runner from last year's NCS team, Paul Jackson (16:04). Douglas Chudler who ran 9:54.9 on the track seems to be the leader of this year's team based on what he did on the track. They have a solid group of young runners ready to step in but how quicly they gel as a state contending team will be determined during the summer and season. The wildcard team, as in past seasons, will be Eureka. It's tough to find any information on this team except for the few times that they travel to some of the bigger invitationals like Stanford. Looking at the results from last year's NCS meet, Eureka will have their top 5 runners returning who all run under 17:10. Based on what they have done in the past (including a state championship in 1999), Eureka should not be overlooked. Another team to watch during the season will be Miramonte, which will be led by Peter Buscheck who ran 16:02 at Hayward last year and ran 9:42 on the track. They will also have freshman find Jamie Fehrnstrom, 800m. state meet qualifier Nick Vedovi (1:55.77) and football player turned cross country runner, Christian Britto. While they proved themselves on the track last season, it remains to be seen if they can translate that to the xc course. The road to the individual title will go through Novato as Erik Olson is the overwhelming favorite to win his first NCS title. Erik finished 33rd as a 9th grader, 5th as a 10th grader and 3rd as an 11th grader. Based on the fact that he is the fastest returner, Erik would have been the favorite this year but what really elevated his status was his track and field season when he made running sub 9 minute 3200m. a common occurance. His closest pursuer and the only other runner that finished in the top 10 last year will be Hugh Dowdy of Petulama (4:29.09 and 9:40.39). The early favorite to win the girls' team race will be Campolindo HS. While they lose a key contributor in Lisa Rosenthal, Campo returns everybody else. Carrie Verdon finished an impressive 3rd last year as a 9th grader and followed that up with sub 5:10 and 11:10 (5:09.4/ 11:01.7) clockings on the track. Not far behind her will be junior Grace Orders who was right with her on the track with 5:10.5 and 11:03.4. They will be backed by solid Sara Mostatabi (5:23.2/11:27.4) who finished in 13th place at last year's NCS meet. Ranking girls teams in the summer is a shaky proposition as freshmen girls can contribute to teams right away. I am aware of a couple of freshman girls that will help some teams, but for the most part, I will learn about the impact runners along with everybody else, after the first few races. The next team appears to be Bishop O'Dowd who will lose stud Damajeria Dubose but return runners 2 through 6. They have a long history of success whether they have been in Division III or IV so for now I will post them in the 2nd slot. The next two teams, Las Lomas and Redwood, return the whole arsenal of weapons as runners 1 through 7 are all back. Interestingly enough, Redwood had all seven runners return for the 2007 season and 6 for the 2008 season. Las Lomas qualified for the state meet last year so they have to be considered as well. Now comes the wild card teams who could finish anywhere from 2nd to 8th place. That list includes the defending champions, Maria Carrillo, who lose the majority of their NCS championship and 3rd place state meet podium team but return their top two runners, the Curtin twins (Lauren and Cara). Petaluma also returns their top two runners, Isabel Andrade and Francesca Honey who both finished in the top 5 with Andrade winning and Honey in 5th. The last of the wild card teams might be a surprise to most as Acalanes didn't even field one competitor at last year's NCS meet. However, they return Emily Shearer and Katie Berge and appear to be adding a couple of talented freshmen. As is usually the case, the favorite to win the individual title will be the returning champion, Andrade of Petaluma. 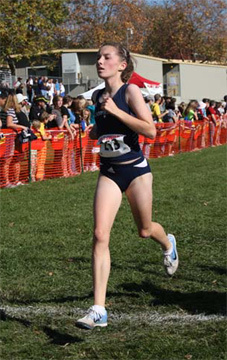 She has proven to be an incredibly tough racer who has had success in cross country and track and field. This past season in track, Andrade qualified for the California state meet by finishing 5th in the 1600 but with a time (4:56.29) that made the at large mark. Her competition will be an array of returners from last year's race that includes Carrie Verdon and Grace Orders of Campolindo, Lauren and Cara Curtin of Maria Carrillo and Francesca Honey of Petaluma. 1) Las Lomas-Lose leader but return everybody else. 2) Petaluma-How quickly can they reload post Lockert era? 3) Campolindo-Douglas Chudler will lead the way. 4) Acalanes-Have the ability to break into top 3. 5) Eureka-Mystery team from up north. 1) Campolindo-Great group up front but need to add depth. 2) Bishop O’Dowd-History of success when it counts. 3) Acalanes-Freshman help is on the way. 4) Las Lomas-Veteran group looking to improve from last year's finish. 5) Redwood-Looking to qualify to 4th straight state meet. Please feel free to comment on above rankings. Any additions or corrections are welcome. Article and predictions are almost complete. Look for them in the AM. Anybody want to throw a few predictions out there in this division? Who are the top teams? Individuals? Any impact freshmen? Surprises? Who is putting in the mileage in the summer and looking sharp? The following is the NCS Division I XC rankings as posted by Jason Oswalt and translated by Peter Brewer. We are very lucky to have both coaches contribute to our sport. Thank you to both. The landscape in Division I is a little bit different this year. Moving down to Division II are the reigning men’s champions and female runners up, College Park Falcons. But in to replace them are the Livermore Cowboys and Lady Cowboys and the De La Salle Spartans. I have collected results from each of the schools that I believe can finish in the top 5, but I know I have missed some and probably many prs and I don’t know anything about incoming freshmen, those that have quit, or any injury situations, so forgive me if some mistakes are glaring. Even so, I think that there is enough information here to get a picture of what each team has coming back this fall. With that said, ladies first…! Not to jinx this team, but Castro Valley should win another NCS title this November. This veteran group has been here before and gotten the job done. Since Cross Country, the Trojan ladies have put together some nice numbers on the track showing again that they are no fluke. They bring back six athletes from last year’s post season top seven and have a nice complement of veterans ready to step in and help out. This team has some unfinished business with a certain course in Fresno which greeted them rudely last November and I’m sure they are counting the days until they get to right the wrongs done by Woodward. Coach Mike Davis probably won’t like that I pegged his team as the second best in the division, but look how deep they are! Aiuto qualified for state individually as a freshman last year, Aha ran 11:12 in track, they found a 2:15 freshman 800 meter runner in the spring, and have two others under 12:10 for 3200m as well as two more under 2:30 in the 800. On top of that, they bring back six of their top 7 from last year’s post season squad (missing out only on Captain Kaitlyn Kelly). This team is too talented and too well coached to not make a run at the state meet this year. Castro Valley may be the favorite, but they better pay attention because Livermore finished a lot closer to the podium at state than Castro Valley did last year. They finished 5th in the Division 2 race. Unfortunately, for Livermore, and maybe for the fans as well (cross country has fans? ), this Livermore team isn’t quite the same as last year. Diana George, Abigail Gregg, and Robin Roque all rode off into the sunset and the suddenly young lady Cowboys (or Cowgirls if you prefer, I don’t) will have to learn to win without nearly as much veteran support. We know the talent is there. Natalie Dimits is fast and Kiely Zeitler was very good last year, but can Hayley Sa provide the senior leadership? Can the team find enough depth to get back to the show? We could all ask Coach Eddie Salazar, but I don’t think he’d answer the question until November anyway. This is probably the most deceptive ranking of either gender. Why? Because I watched Cal run enough times during the last track season to know that they have more good runners than this. I just do not know their names and can’t find any results for them. So we all know that on a good day, Lillig could win the race and maybe even on a not so good day. Hopefully you were watching closely enough to see how tough Elaine McVay is and realize that they have a hell of a 1-2 punch. What I’m telling you is that there is more than that. We will just have to wait until the fall to figure out who those girls are. #5 (The Army of) San Ramon Valley. The theme of this year’s San Ramon Valley team is depth (on the guy’s side too, but I guess that’s a spoiler). When Tim Hunter started coaching the Wolves, he was sort of a one man wolf pack, but after a while, his wolf pack grew, and look at it now. There is no star on this team, but there is quality up and down. This team could field a second varsity team that might finish top 10 in this race. The Wolves will score in bunches this year, but what they will need to beat any of the teams ahead of them is for a couple of these ladies to take it to the next level. There are so many of them though, that there are plenty of opportunities for them to do just that. The Dons are sort of in a San Ramon Valley situation, only with less girls. 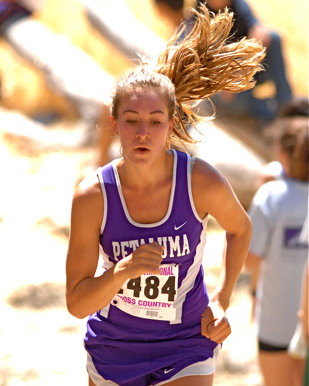 If Jessica Infald can stay healthy and recapture the form 2007, when she ran 5:09 and then finished third in the EBAL in cross country behind only George and Lillig, it would go a long way. That being said, staying injury free always comes first. This team got some very good contributions during track season from some underclassmen who made major strides and also had some key contributors from last year who did not run track. It will be up to Coach Peter Scarpelli and newly hired assistant Cara Banks to keep this team together and have them ready when it counts. If things go the way I think they will in November, I’ll be swooping in to take all the credit. This is probably the hardest team to gauge in the division. This is because several of their athletes focus on sprints in the spring. During cross country, there is no one in their league to compete with them, so it becomes a blowout and I am left to wonder if people had bad races or if they were in cruise control. Either way, there is talent here, albeit unconventional. Okodogbe finished third in the state this year over 400m, Wiggins went to MOC and ran 57. Joy Gee is very strong in the short sprints as well. Back to the conventional talent, Stephanie Siemens is a good distance runner on the track, but she is better at cross country. If she can improve off of last year, look for her to punch her individual ticket to the state meet. As an Amador Valley Coach and alum, it is hard for me to say this, but the Lady Blue Chickens bring back some pretty good runners. A lot of their success centers on how Jennifer Goldstein is able to come back from her injury. She had an awesome season last year only to see track go out the window, so best of luck to her in coming back. There was silver lining to the Goldstein injury for Foothill though (I know, that was terrible, bear with me) in that it allowed other young athletes to step up and learn how to carry the load. Megan Tabler is a girl who had a nice track season running in the low 5:30’s at least (even though I can’t find any of her results) and the freshman combo of Shannon Easley and Nicole Torquato had nice finishes to their seasons in the 800m distance. Oh and they bring back all seven of their NCS varsity team. This Granada team has enough to be good, but not enough to make any mistakes. Novell looks like the real deal coming off of a very strong spring. Jansen and the Herbeck sisters are a stronger supporting cast than most front runners have, but after that, it drops off pretty sharply. Granada needs to find at least one more girl (Is it you Laura Franklin, or you Julia Burton, or you Jennifer Cho, or is it someone not mentioned?) and then they need to stay healthy and peak at the right time. Sounds simple enough. Just be at Kellman Park at the crack of dawn. Depth is not the strength of these Lady Colts. I can’t even find a 5th distance runner in their results (part of the problem is that their league results do not indicate grade, so I did not know who was graduated and who was still around). Even so, this team’s top 3 was too good to not mention. They are a pair of sub 2:20 800 girls and a 5:25 miler who all have very solid cross country backgrounds. Through 3, they beat most of the teams on this list and Theresa Jong is in a position to be a strong #4 this year. Unfortunately, in CA we score 5. Logan is a state championship team in South Dakota, where they only score three, but the school would also be five times larger than the biggest school in South Dakota. So look around ladies, I bet there is a fast distance girl walking the halls at Logan who would be interested in taking a shot at top 5 in NCS. …And now for the guys. It’s Déjà vu all over again. Castro Valley claims the top spot on both the men’s and women’s side. The Trojans bring back all 7 NCS runners from last year to try to improve over last year’s surprise third place finish. Ben Eversole didn’t stop with cross country last year, putting together an incredible sophomore track season. Cross country titles are not won alone, but Tom Ashby is really good as well. Behind Ashby, Will Weekes and Anthony Martore’s track times suggest serious improvement and a crew of young runners behind them will compete for that fifth scoring spot. This race looks to be much closer than the women’s race and for this team to win, they will need a #5 runner to get close to 16 minutes. Even though I am ranking them #2, battles between Trojans and Spartans tend to be pretty epic. This De La Salle team is much like the movie 300, where the Spartans had 300 capable soldiers. De La Salle has about 300 athletes ready to step in and contribute to the varsity squad. While they only finished second in the EBAL finals last season and graduated four of the athletes from that team, they absolutely dominated the frosh-soph (4 runners in the top 10) and junior varsity races (2-3-4-5-9). Several of those athletes were MIA in track, but with 9 quality runners ready to step in and 3 sub 16:30 NCS runners coming back, this team is dangerous. Let the battle begin. Wait a second. In the movie 300, the Spartans lost. In the movie Troy, the Trojans lost. If anyone can beat the Trojans of Castro Valley and Spartans of De La Salle, it is San Ramon Valley. Up and down, this is the most talented roster in Division I. They return six athletes from last year’s team and bring in three new athletes with star power. What team would not love to add Kevin Griffith, who finished 7th in state over 800 meters, Ryan Hammill, who ran 1:59 in his own right and won the JV title last year as well as the JV title at the Nike Invite, and super-soph Parker Deuel who ran 4:34, 2:02, and 10:06 as a freshman as well as winning the EBAL frosh-soph title in all three events and cross country as a freshman last year. Let’s not forget Sean Colaco who briefly held the state lead in the 1600 early last year and just barely missed qualifying for state in that event and Simon Graves, who runs very tough and came on strong to run 4:22 at the end of last year. Interestingly, Their #1 runner from last year, Cody Reed, was not around during track season. I don’t know why. This team looks like it should be ranked #1, but they have not had nearly as much success over 5000m as they have in the mid-distances. In order to gain that respect, they are going to have to prove it on the cross country course. Until then, they will have to look up to De La Salle and Castro Valley. There is definitely a gap on paper between the first three teams and the fourth. Don’t tell that to the Mustangs though. They seem to find a way to be relevant at the end of the year no matter what it says on paper. This team does bring back five athletes under 17 minutes at the Hayward course, including EBAL all league finisher Amis Matulionis and individual state qualifier Josh Smiley and like SRV, three instant new contributors in Elliott Killick, Chris Prudhomme, and sophomore Byron Killian. The teams ahead of Monte Vista better be ready, because the Mustangs are a team that can cover the gap in front of them and sneak into the state meet. Amador Valley is a team with many questions to answer. They have been the top NCS Division I regular season team for the last two seasons, with two consecutive undefeated seasons in the EBAL and two titles, but no NCS titles to show for it. They lose four of their top five last year, with Hornig, Ward, and Marlin graduating and Forrest Hansen opting not to run. Question #1: Where does this team find depth? Answer: In their juniors. The Man Dons have young talent ready to rise to the top. Sam Aceret and Taylor Peissner have state meet experience and along with Sam’s brother Joe and Alec Elgood, and Prescott Jackson this team has enough quality in that class to guarantee is stays competitive for the next couple of years. Question #2: Who leads this team? Answer: Kellen Cole. He has been a varsity runner since his freshman year and has put up some nice times in the shadow of last year’s seniors. It is his turn to carry this team and he seems up to the task. Question #3: Does this team have a chance? Answer: It will take everybody firing on all cylinders to have a chance at the top 3 teams in this division. This is the best team in the BVAL and they are afraid of no one. They have enough coming back through four runners to contend for top 5, but I think they need to find one more somewhere. They have the bodies and the experience (5 NCS returners) and this team has a history of surprising. Nate Baker seems to be the leader and Pruett and Wilson seem to be stronger XC runners than track runners. This team is outside of my top 5, but make no mistake, they have state meet aspirations. These guys always do. Alex Summers might just be Ben Eversole’s top competition for the individual title, but he doesn’t have quite the supporting cast that he had behind him last year. The Matadors return Pierson and Arnold, who had excellent sophomore seasons as well as a few sophomores who showed promise in their freshman seasons. To be able to move into the top 5 though, they will need to develop some of those runners into low 16 types. My hunch tells me that the Cowboys will be the most improved team in NCS this year. Led by Skyler Jones and up and comer Tsuyoshi Kohlgruber, this is a young team that seems interested in success. History shows that all that coach Eddie Salazar needs to put together very good teams is a few guys interested in success. History also shows that when Salazar has a Jones on his squad, NCS success will follow. There are 8 individual NCS cross country championships among Skyler’s four siblings and from what I know, leadership runs in the family as well. Let’s see if he, Coach Salazar, and the rest of the Cowboys can get together and prove me right. That’s it for now. I’m sorry about any missed prs in these tables. If yours are wrong, just email Albert constantly until he fixes it. Like every hour on the hour. And not just you, but everybody on your team.